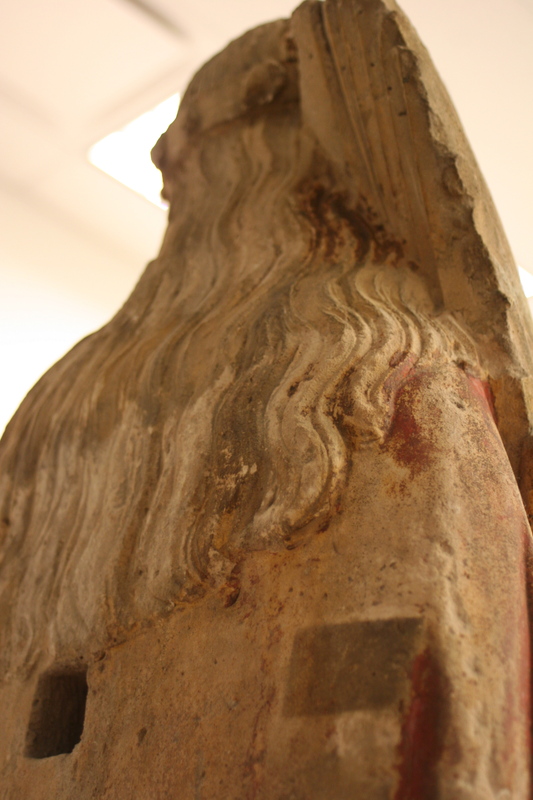 Saint Catherine has been missing from our museum galleries for one week. She has been down in the basement getting a bit of a makeover: a thorough cleaning, and a little touch up. And I was lucky enough to go down to the basement and see a bit of this process. 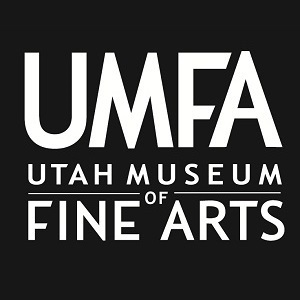 While being led through the labyrinth that is the basement of the UMFA, I was grateful to be guided by Robyn Haynie, our conservator. Without her I would likely still be wandering around down there. And without her I would have missed seeing all this. When I entered the room I was greeted by two Catherines: Saint Catherine, alight on her pedestal, and Catherine Orange Fischer, who has worked in restoration for many years, with a paintbrush in her hand. She greeted me with a warm smile, and began to walk me through what I was seeing. This limestone sculpture of Saint Catherine is a bit of a mystery. 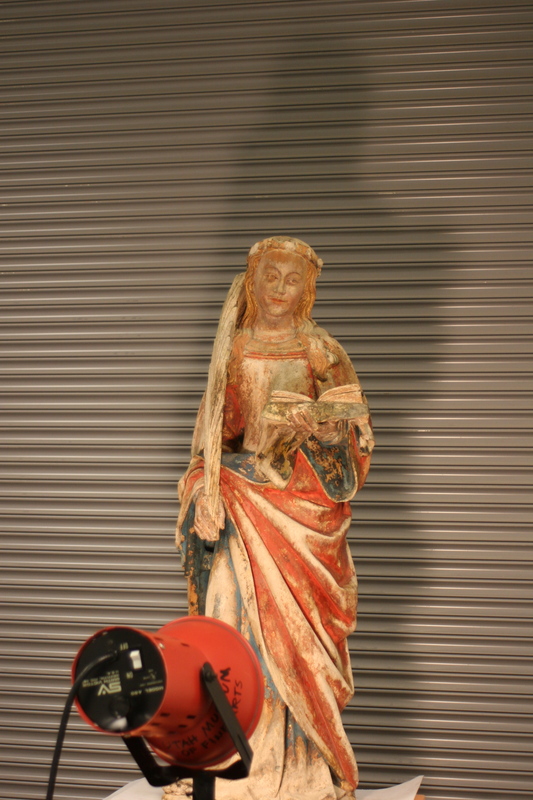 We know she dates from the late Medieval age, that she’s from France, and that the museum purchased her in 1974. We aren’t sure what her original role was, though the lack of detail on her back suggests she was likely snug against a wall, and, according to Fischer’s examination during the cleaning process, she was at one point most likely and at least for a time exposed to the elements. It is not unusual for a museum to own objects with some mystery to them, though it can be frustrating for curators, educators, and conservators to work without much of a definite background. “But in another way, you can imagine all the story for her,” said Fischer. Fischer explained to me that she had been cleaning the Saint for almost one week, and I was surprised to learn that this was done only with water (and just a bit of soap in some difficult places). “It is important to use as soft products as possible,” she explained. 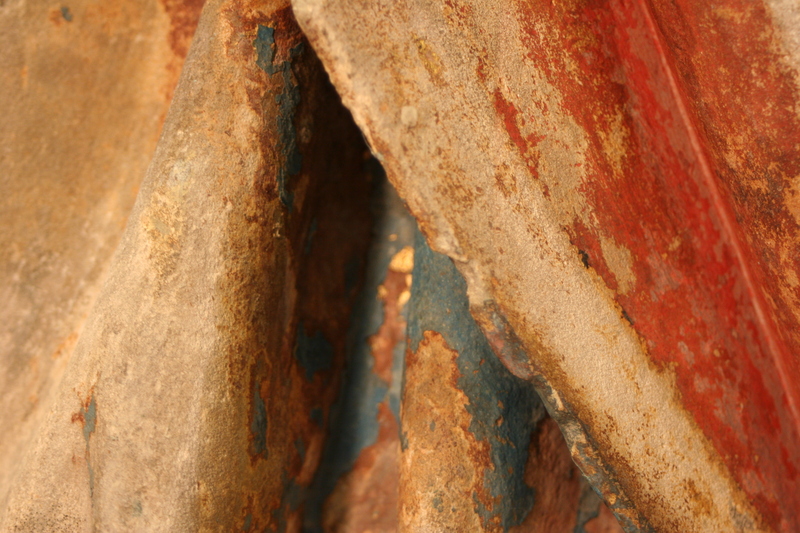 I studied the sculpture carefully, noticing the brilliant patches of color, the empty, clean stone. Fischer and Haynie explained to me that the retouching was being done with some acrylic color, but that this was applied only on the already retouched and filled material, not over original paints. “Catherine’s head was once detached from her body,” Haynie said as a way of explaining what was meant by filled material. 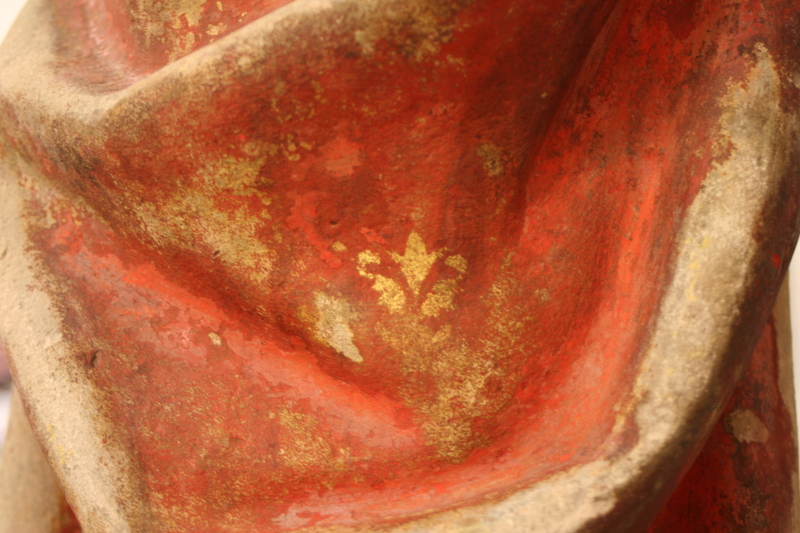 And she pointed out a stripe of discoloration on the statue’s back where this was evident. 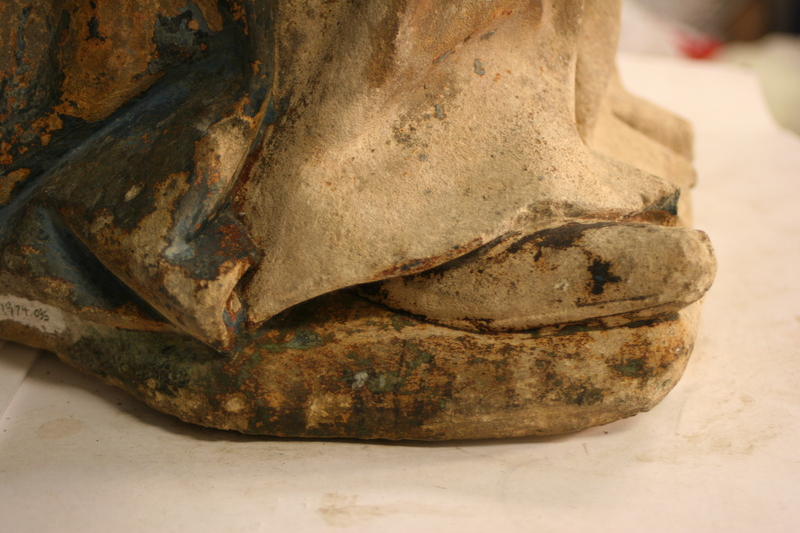 Fischer and Haynie showed me the layers of color on the statue, evidence of gold pigment under newer blue, of a deep red under some of the blue, and an indication of what Saint Catherine might have looked like long ago. Saint Catherine is the patron saint of: unmarried girls, craftsmen who work with a wheel, archivists, dying people, educators, jurists, knife sharpeners, lawyers, librarians and libraries, hat makers, nurses, philosophers, preachers, scholars, schoolchildren, scribes, secretaries, students, and tanners. 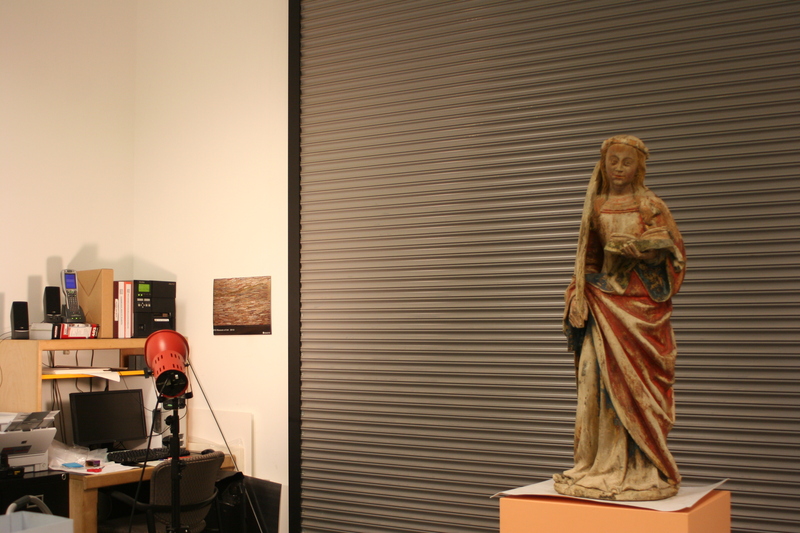 Come in to see Saint Catherine and all of her secrets: she is back at home in the UMFA galleries. 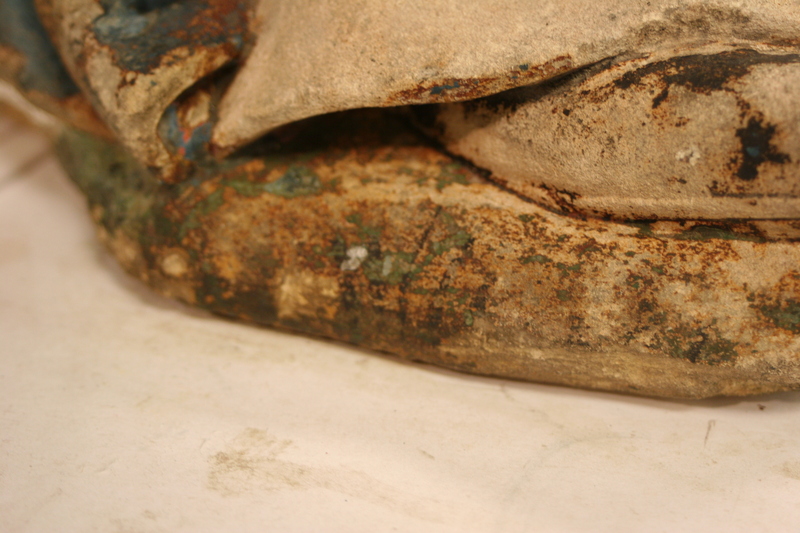 And tell us in the comments: What would you like to know about conservation and art restoration? What questions might you have for conservation team? 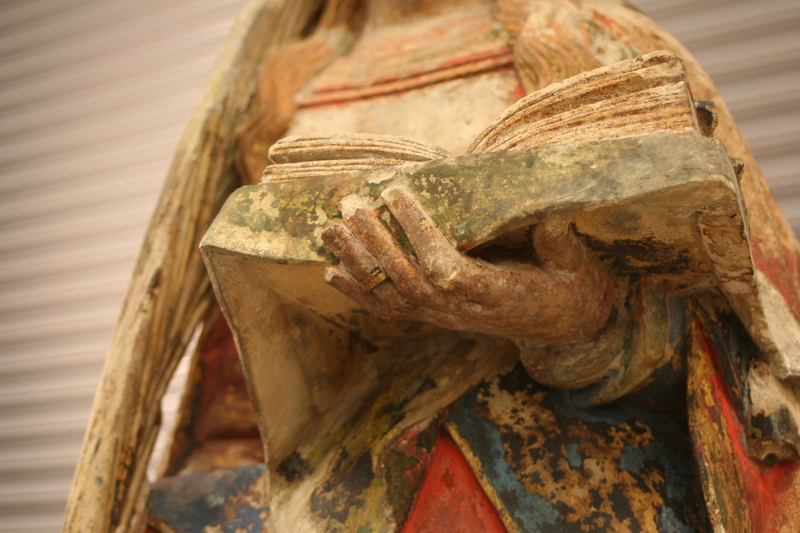 I saw the St. Catherine sculpture on a visit to UMFA in 2007, and thought she was absolutely wonderful. She looks better than ever. We couldn’t agree more– she is such a fantastic work, and is truly stunning in person. Now that she’s been so thoughtfully restored, we look for any excuse to pass her in the galleries!